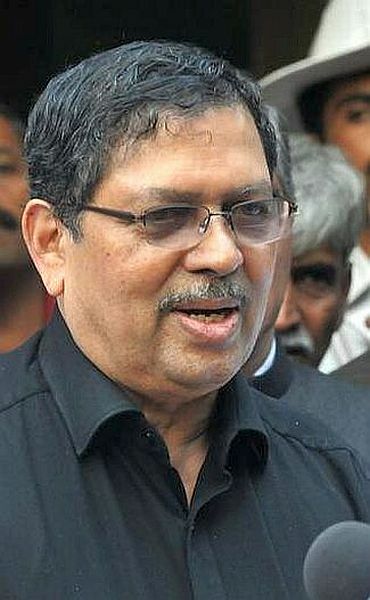 Rediff.com » News » Will Hegde reconsider decision to quit Lokpal panel? Will Hegde reconsider decision to quit Lokpal panel? Justice Santosh Hegde on Saturday indicated that he may not resign from the joint drafting committee on Lokpal Bill after Finance Minister Pranab Mukherjee's statement that the government was looking forward to enacting a strong anti-corruption legislation. "It is a nice gesture on the part of the chairman (Mukherjee) to issue a statement. He was very fair in his statement so also many others have said that this type of vilification campaign is wrong," he told newspersons in New Delhi on arrival from Bengaluru. 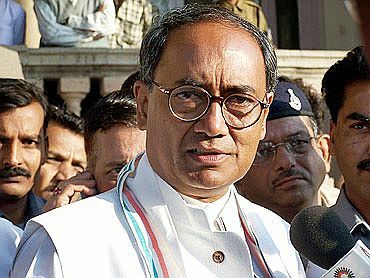 Hegde, who felt "hurt" on certain statements made by Congress leader Digvijay Singh and had threatened to quit, said he had a talk with Hazare who told him not to take any "precipitate action" but discuss with him at a meeting on Saturday evening. "I am bound by the decision the committee takes to be presided over by Hazare. I was personally hurt at some statements. Now clarifications have been given and the statement has come. I have grievances, I am not carrying the complaint anymore," he said. Hegde said he had publicly announced that he would resign after consulting his colleagues at and "I have to complete this process". To a question, he said if Hazare ask him to vacate, he will quit. 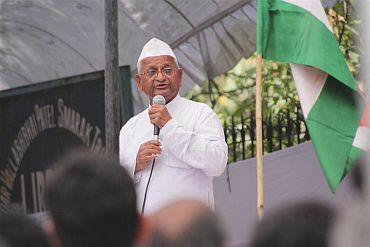 Before leaving for Delhi , Hazare told reporters in Pune that the meeting would take a decision on the Hegde issue. Asked if the people's trust has been dented because of controversies, he said, "No, the people's trust is not dented by this. If the people did not have trust, there would not have been such a big crowd."